Watermelon season is here and everyone in our family loves eating watermelon! It’s juicy, it’s sweet and it’s perfect on a hot day. But sometimes when you buy a really big watermelon, after cutting and eating half of it in a traditional fashion, the other half might just sit in the fridge for a while. I started thinking, what are some different ways we can eat watermelon? These are five great ways! There are so many recipes out there for watermelon popsicles, but here’s the easiest way: take your cut up watermelon (with no rind.) Put in in the blender with some ice. Blend until it’s smooth. Put it in a popsicle mould and freeze. That’s it, so easy, tasty and healthy. And a bonus is that the kids will love it! If your melon isn’t that sweet, you can always add a little of your favourite sweetener. I’m a huge salsa and guacamole lover and then I found out about watermelon salsa so I had to try it! 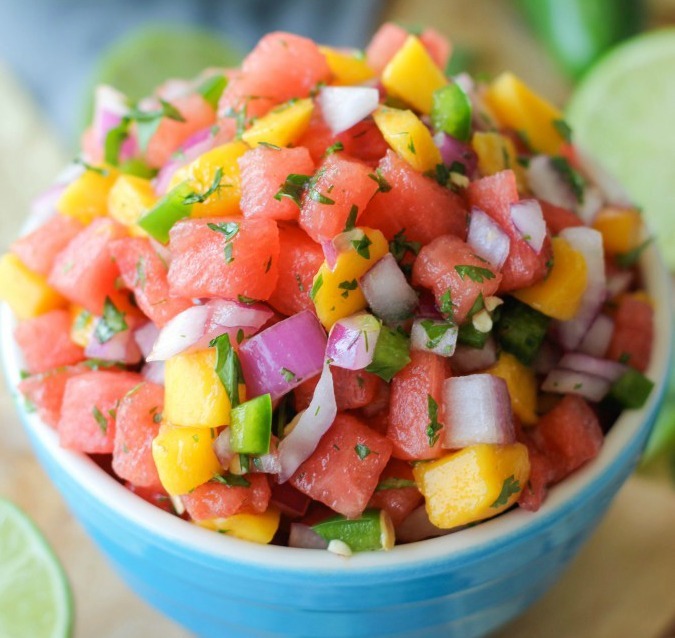 One of my favourites is a watermelon mango salsa or pico de gallo recipe that I found on Damn Delicious. It’s two of my favourite fruits in chip dipping form. You have to try it! During the summer, salad is a great go-to lunch or side dish for dinner. It’s easy, healthy and refreshing. Well how about adding watermelon to your salad to give it a tasty kick? Try this easy watermelon salad recipe I found at Spoonful.com. All you need is cubed watermelon. Toss it with red wine vinegar and olive oil. Add some crumbled feta cheese, mint and sprinkle with salt and pepper. I’m not a huge cocktail drinker but I love the idea of a refreshing watermelon cocktail on a a hot summer day. 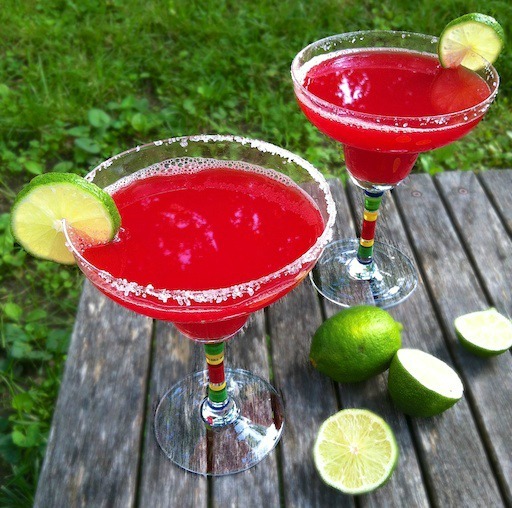 Here’s one recipe from Teaspoon of Spice that looked really good, a watermelon margarita. All you need is watermelon, tequila, a lime, sugar and a blender. 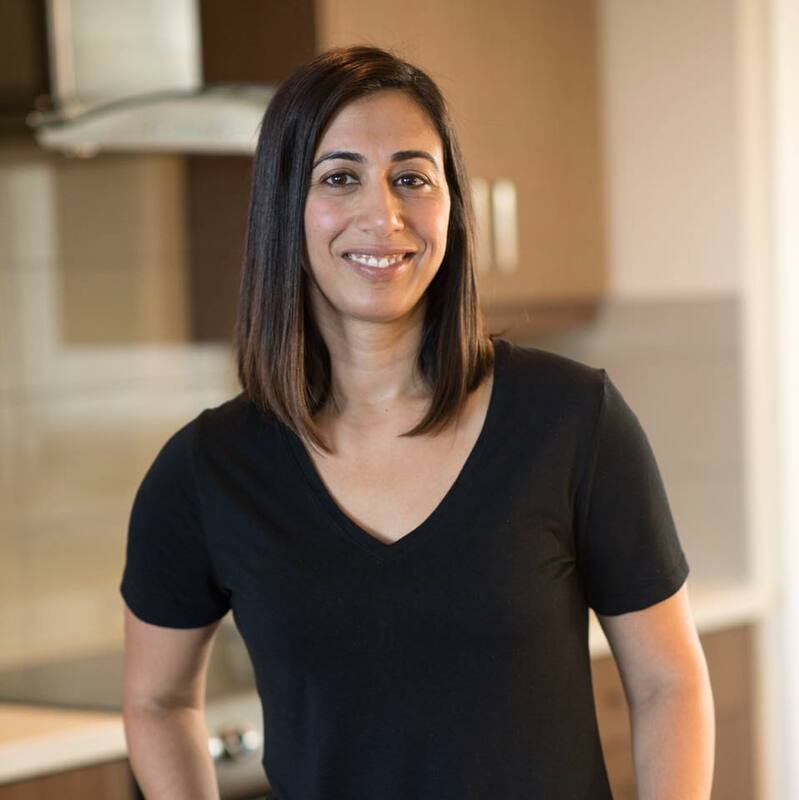 There are so many different recipes you can try with watermelon that I actually started a Pinterest board to keep track of all the recipes I want to try out. 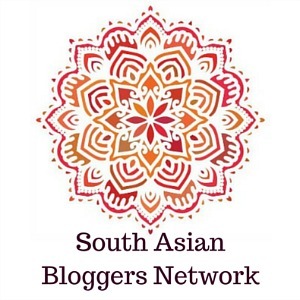 If you want to try some of them, you can follow my Watermelon Recipes board here and feel free to add any watermelon recipe ideas you love. What’s your favourite way to eat watermelon? 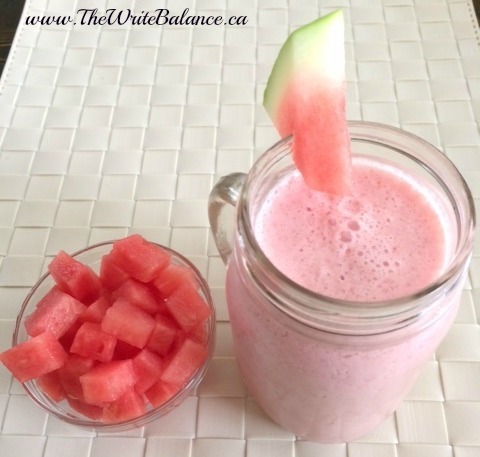 watermelon is one of my favorite fruit specially for the summer and these are great options! I love watermelon, I can eat a 5Kg watermelon at once, lol! All these look really yummy, thanks for sharing. I agree, we never seem to tire of eating watermelon. We get them without seed here in Canada Ana. I love your watermelon pop-sickle idea! They turned out really well Sophie. Great post. My fav is watermelon salad. I never thought of the idea of smoothie, maybe because I picture dairy in it and feel watermelon is more like water surplee type. 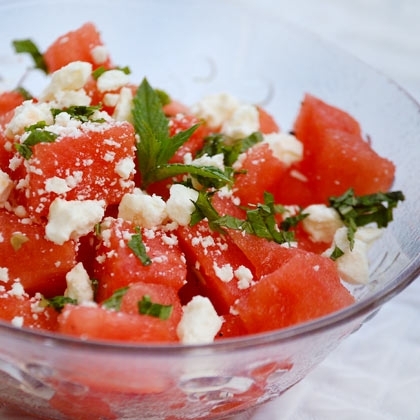 Watermelon salad is so refreshing! I am definitely using the popsicle idea! 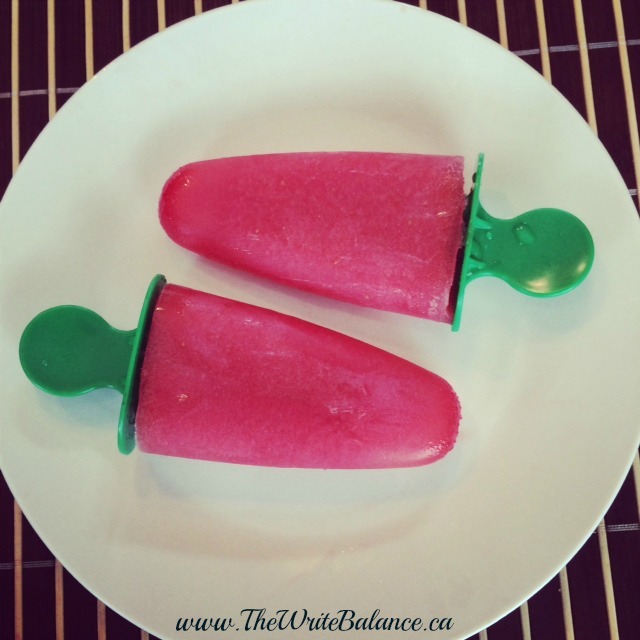 My kids need bribery if I want them to play outside, so a healthy cold treat is perfect! I’m sure your kids will love it! A couple of weeks ago I tried out a watermelon cocktail and really enjoyed it. So refreshing. I took a chilled watermelon and cubed it up and then hand pressed it through a sieve. I took that juice added some Fresca and the bubbles and fizz made a delicious frothy drink. For the adults I added some vodka. Delicious! That sounds like a delicious recipe Andrea. My son loves popsicles. I’ll have to try making them out of watermelon. Also the watermelon smoothie sounds delicious. Thanks Agi, they were both really good! I hope Aiden likes them. Salma, that salsa looks amazing!